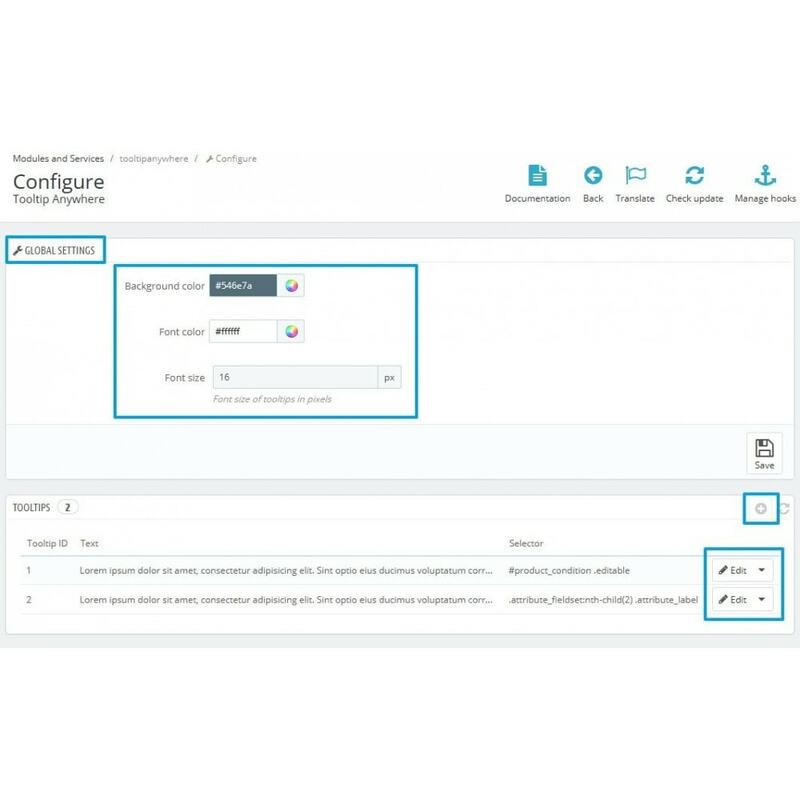 Tooltips Anywhere allows you to display tips in your store, when you hover over the icon with your mouse or touch, in order to give a more detailed description of the products or actions that the user should perform. More understandable descriptions to explain complex things are simpler. 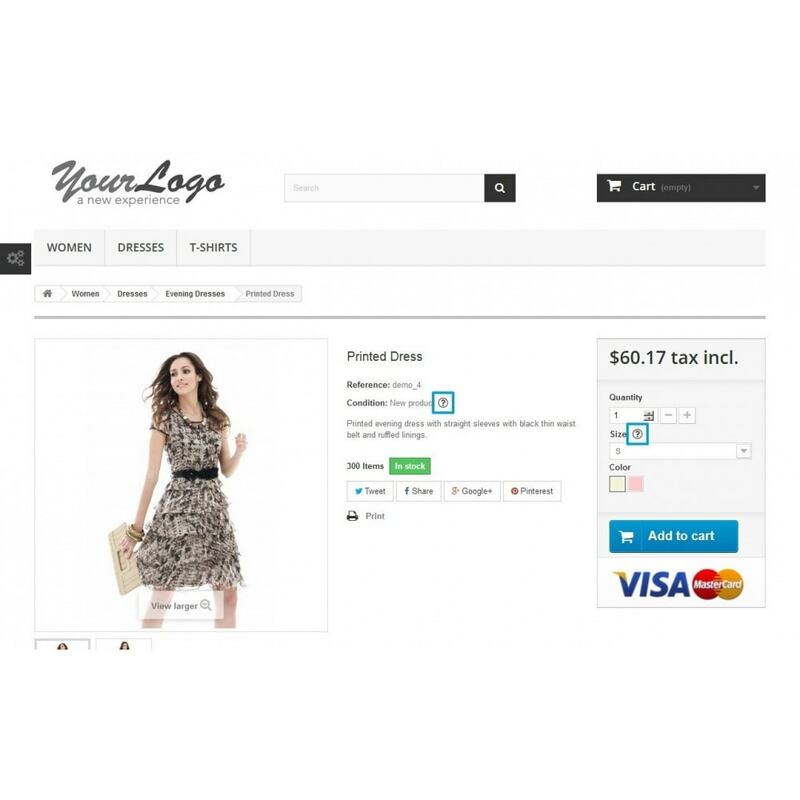 The ability to customize hints independently of each other, including styles. The Global settings section of the module configuration page allows you to set a common style for all tooltips. This style can be overridden for each tooltip. 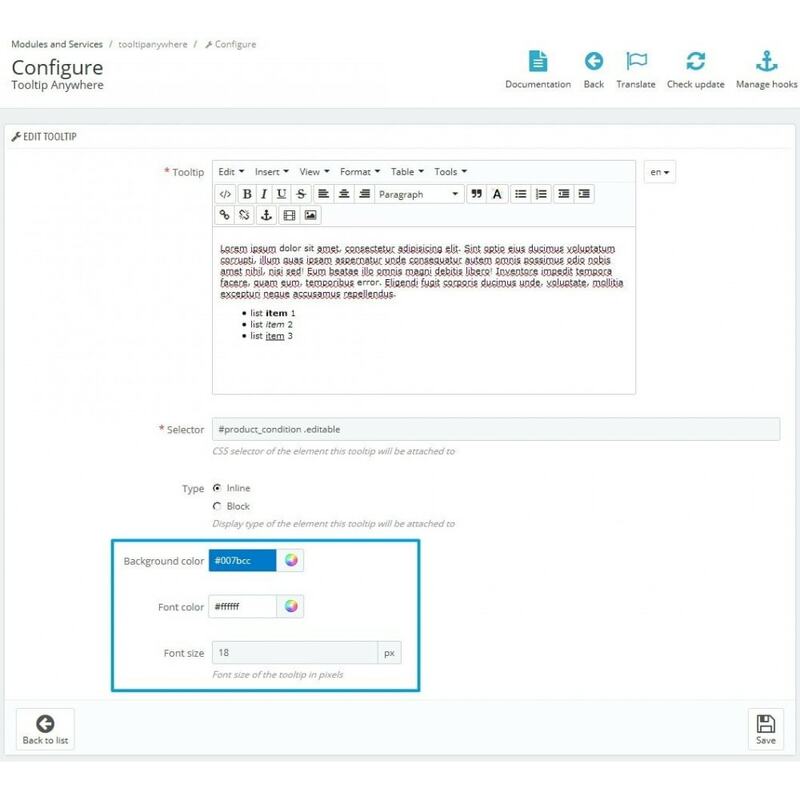 After installation, you will be able to create new tooltips on the module configuration page. To do that, click the plus sign in the top right corner of the tooltips list and fill out the form. Make sure you specify correct display type of the element you’re attaching new tooltip to. Added tooltips will be shown in the list. You can easily edit or delete a tooltip using buttons in the rightmost column of this list. In the front office, a small icon with a question mark will be placed to the right of the element matching the selector you provided when creating the tooltip. Hovering over this icon will show a tooltip containing the text you entered. Tooltips Anywhere is installed like any other module. Simply upload your archive and click Install. Add options to configure tooltip border styles.